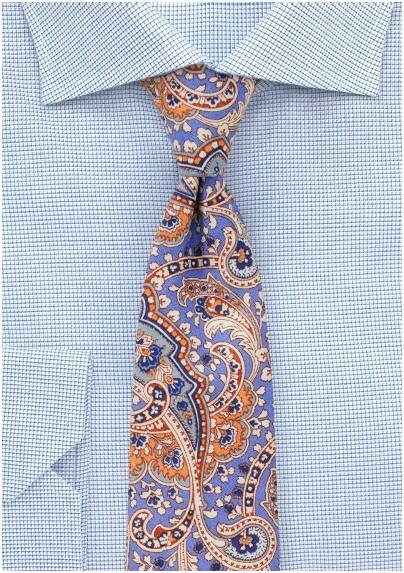 Show that summer has arrived the moment you decide to accessorize with this pastel hued paisley tie printed on finest cotton fabric. The pastel tones in blue, peach, range, and cream create a nice summer palette that looks superb with summer suits in beige, stone gray, and navy. Add to any white or cream linen shirt for best looks. 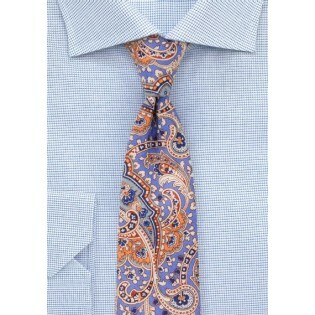 This tie also looks excellent when worn without suit jacket but either suspenders or a fitted linen vest. Handmade from digitally printed cotton fabric.